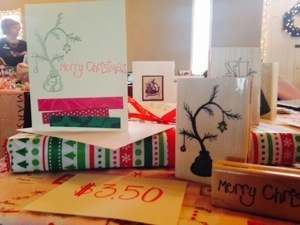 15 Days: Handmade Christmas Cards… for $1! Check out these handmade Christmas cards I’ve made over the years. These designs and more are on sale – you can purchase them for only $1 each. Like what you see but interested in more cards of the same design? Contact me for more details. For procrastinators like me, it’s about that time to start stamping out the Christmas cards. Or, maybe just the ones to deliver via snail mail, at least. Last time I checked belated Christmas cards do not exist. I’ll be making more than 80 handmade Christmas cards for my friends, family members and co-workers this year. Seems daunting, but with an idea in mind, and a history of Christmas card creations for many years now, I can stamp them out in no time. The challenge? For me, finding that extra bit of time to do it. 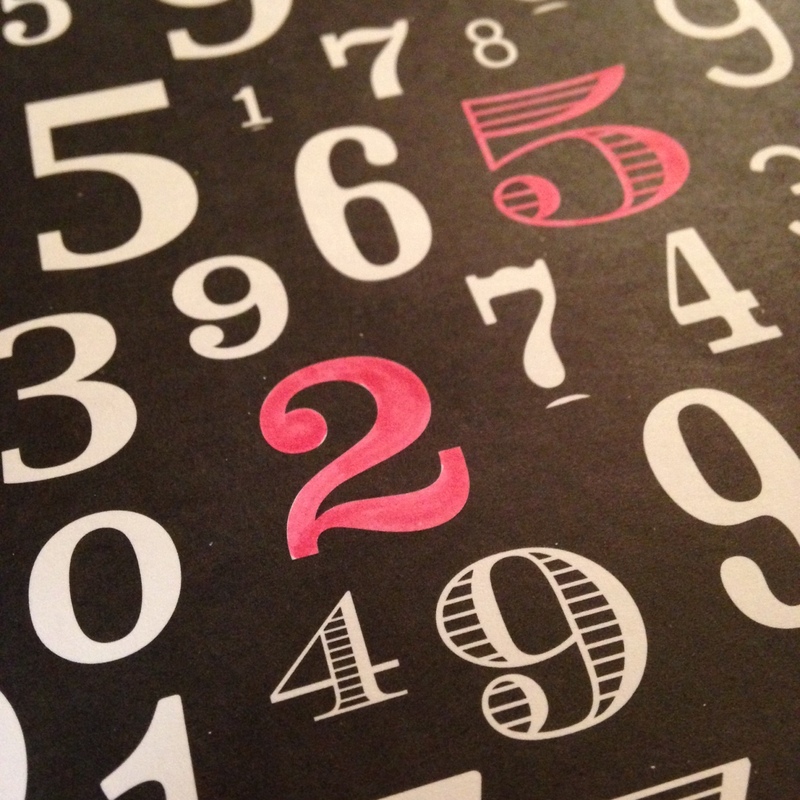 If you’re stuck on handmade card ideas, check out the photos below. I’ve posted examples of some cards I sold at the Holiday Home & Gift Expo at the Fairways at Twin Lakes last weekend. I appreciate everyone who has stopped by the Scraps of the Soul table at the Holiday Home & Gift Expo in Kent so far today! A lot of great vendors in a really nice venue at the Fairways here in Twin Lakes. I’m excited to have had the opportunity to be involved with this event. Only a little more than one hour to go! Looking for a Black Friday deal on Christmas cards? Mention this post when you order your custom handmade cards through TODAY and receive 25 percent off your entire purchase! Go to the Shop tab at scrapsofthesoul.com to place your handmade card order–25 percent off TODAY only! It’s impossible for me to walk into a craft store without buying anything. Especially when cute Christmas stamps are 50 percent off. And also when I’m so much in the mood to make something that I convince myself I need extra ink pads. In different colors. Craft supplies never fail to call my name upon my arrival to the store. 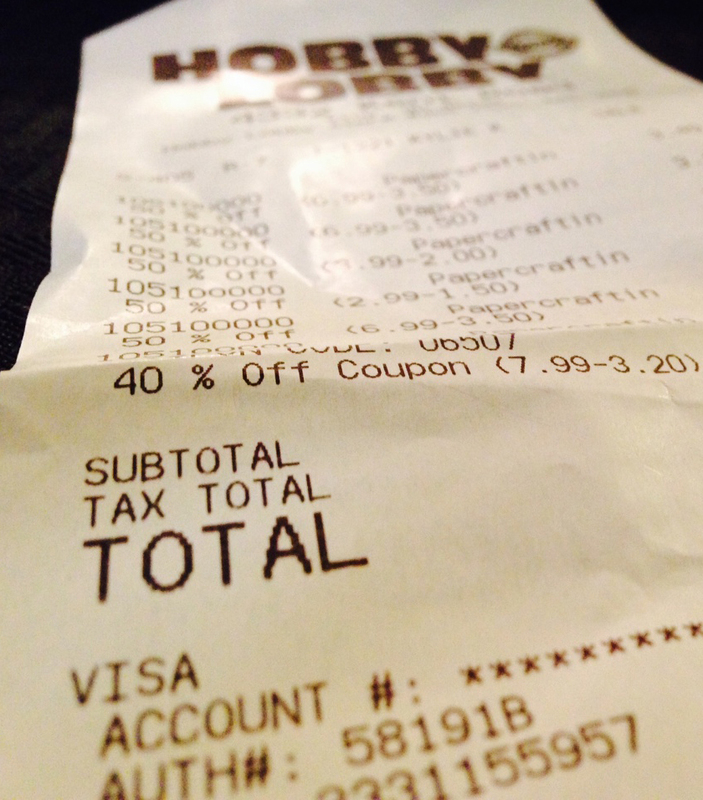 Now, I’ll admit this particular trip to Hobby Lobby could have been much worse. But to be honest, I already felt overwhelmed by all the Christmas garb surrounding me, not to mention the hoards of crazy crafting ladies zooming in and out of the aisles. They don’t mess around when there is a sale. I just haven’t reached that point–yet. So, if you’re looking forward to a more relaxing holiday weekend like I am, feel free to browse the “Shop” tab at scrapsofthesoul.com. There you’ll find my handmade card quantities and prices, as well as instructions for ordering custom greetings. Assuming you just want to send a friendly greeting to a friend or family member, you’ll be pleased to have the option of lounging around in your pajamas and browsing handmade cards online, while the “saavy,” sleep-deprived shoppers emerge from their feasts to fight for every last sale item they find. Shopping set aside, I hope everyone has a very happy Thanksgiving! I wish you happy eats, happy rests–and for the brave, happy shopping. Visit Lindsay and her Scraps of the Soul handmade card collection at the Holiday Home & Gift Expo Dec. 1 at the Fairways at Twin Lakes in Kent, Ohio. Among all the inflatable holiday characters inhabiting front lawns, Black Friday advertisements and two constant streams of Christmas music on the radio, I’m willing to bet you’re ready for Dec. 25. As if you haven’t begun making a list and checking it twice, while slurping down sweet, delicious peppermint mochas, don’t waste any time getting yourself into the holiday spirit. 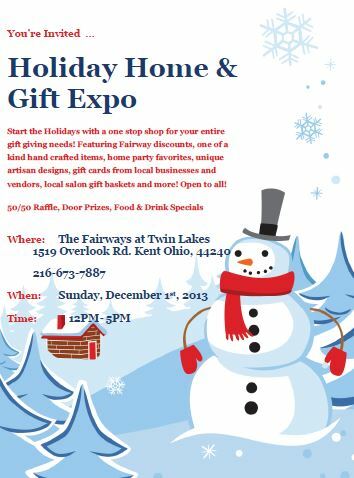 This Sunday marks the first Holiday Home & Gift Expo at the Fairways at Twin Lakes in Kent, Ohio, and you’re invited to stop by to visit me and other vendors as we attempt to entice you with handmade items you can purchase as gifts–or for yourself. From noon until 5 p.m. you are welcome to stop by at any time to get started on your gift list, window shop or browse the gift baskets available. Hope to see you there! 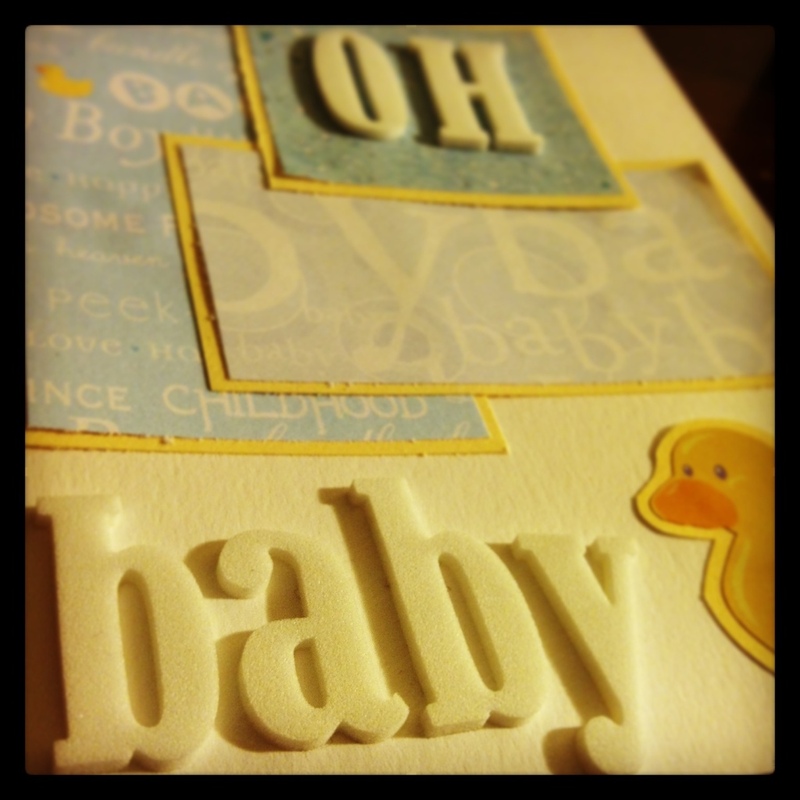 A baby shower card, to show off my excitement to be an aunt in three months.